Did you know 95% of all businesses are considered “small”? This number is true in Mexico, Latin America, and beyond – even developed nations! They are the backbone of the economy, yet have been completely disregarded by banks and large financial institutions. Konfío was created in order to finally change this! Konfío is an online lending platform designed specifically for small businesses in Mexico, using alternative data for rapid credit assessment, allowing owners to focus on what’s important - growing their business. Our mission is to fuel the growth of promising small businesses so they become strong and relevant in their field. We’ve had awesome traction and are venture-backed by QED Investors, Kaszek Ventures, the World Bank's IFC, Quona Capital, Accion, and Jaguar Ventures. 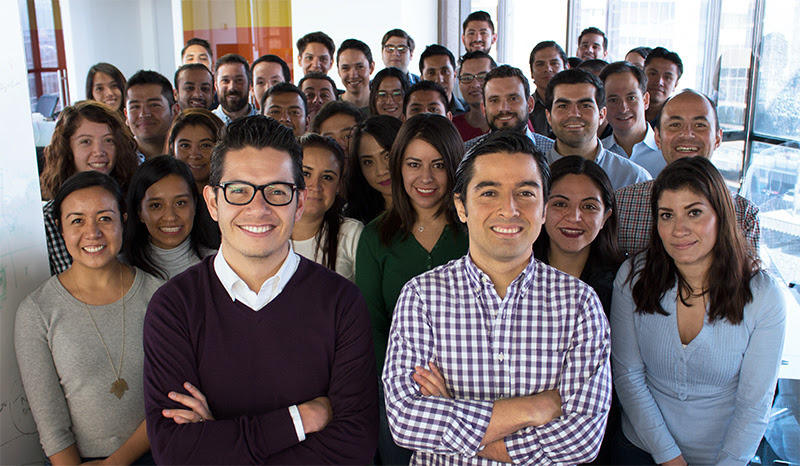 We are building a world-class FinTech team in order to set the new standard in small business lending in Mexico. Our founding team has decades of fast-paced Wall Street experience based in New York, both in finance and technology. Our team is made of engineers, developers, and product specialists, with prior experience in San Francisco, New York, Boston, Singapore, Argentina, and Mexico, who are nonconformist by nature. Our goal is to reduce complexity faced by many business owners by empowering them with a frictionless experience when obtaining financing, powered by state of the art technology. We are the leading online SME lender in the country. Be part of the new generation in financial services in Mexico!